Nashville, TN -- The Foundation for Bluegrass Music hired Nancy Cardwell as their administrator in August, as they are gearing up for a full slate of events planned for the International Bluegrass Music Association’s World of Bluegrass in Raleigh, NC, Sept. 27 – Oct. 1, 2016. Working in conjunction with BuckleDown Productions owned by J. Gregory Heinike and Valerie Smith, Nancy Cardwell of Nashville, TN announced this week that she will be booking dates for 2016 and 2017 for Bluegrass Hall of Fame member and Grand Ole Opry star Jesse McReynolds & the Virginia Boys; the most entertaining woman in bluegrass music, Valerie Smith & Liberty Pike; and an exciting talent who has recently returned to Nashville, Ray Cardwell & Tennessee Moon. 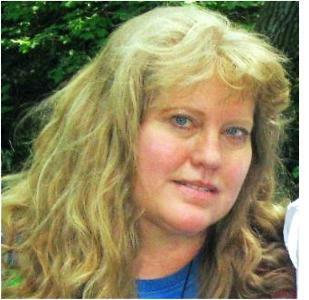 Cardwell may be reached at (615) 260-4807 or nancyk.cardwell@gmail.com. The home office for BuckleDown Productions is in Bell Buckle, TN, at (931) 389-0222. For those of you who were not able to join us in person last Wednesday night, Nov. 18 at the 9th Annual Louise Scruggs Forum honoring Dixie Hall at the Country Music Hall of Fame and Museum in Nashville, we have good news! The entire event was live-streamed and recorded, and you may view it at this link. Nashville, TN -- Nancy Cardwell, executive director of the International Bluegrass Music Association (IBMA), has tendered her resignation with the organization, effective December 31, 2014. Cardwell has held the position of executive director at IBMA for the past two and a half years, and has worked at the organization for 20 years. Long time IBMA staff and Executive Director of the International Bluegrass Music Association (IBMA), Nancy Cardwell, has resigned her position during the World of Bluegrass event in Raleigh, NC. Cardwell will serve through the end of the year and hopes to help make the transition easy on the association. Nashville, TN -- Pinecastle Records is pleased to announce today’s new single, “Martha and Mary” by Nu-Blu. The song was written by Becky Buller and Nancy Cardwell and appears on Nu-Blu's first gospel album, Nail By Nail set for release October 30, 2012. The single has been serviced to bluegrass radio stations and is also available at AirplayDirect.com. Nashville, TN -- /IBMA/ The Board of Directors of the International Bluegrass Music Association is pleased to announce that it has appointed Nancy Cardwell as the organization’s Executive Director. “After an extensive selection process that began with more than 65 applications for the position, the Board concluded that Nancy brings the right mix of skills to the table and will be able to take the organization to the next level of success,” said Board chair Stan Zdonik. Nashville, TN -- The Board of Directors of the International Bluegrass Music Association announced Monday, March 5 that it has appointed Nancy Cardwell as Interim Executive Director. "The search for a permanent Executive Director continues," said Board Chairperson Stan Zdonik. "Given that planning for next year's event is heating up, the Board decided that it was important to have someone fill that role in the interim. Thus, the Board unanimously appointed Nancy Cardwell to the position of Interim Executive Director until a permanent replacement is found. We are confident that she will do a great job." The International Bluegrass Music Association (IBMA) has a few seats still open for their Dec. 6 webinar (5 p.m. Central, 6 p.m. Eastern, 4 p.m. Mountain Time, 3 p.m. Pacific) titled "Making the Most of Your Next Interview," and they hope you'll join them! The IBMA hosts webinars to help those in the bluegrass music industry sharpen their skills and acquire insights into various avenues of the music and the industry. The I in ICMC is also is the I in IBMA and I stands for "International." ICMC is the International Country Music Conference and IBMA is the International Bluegrass Music Association. Both are International, both are music and both are country roots related. There is often a great overlap with bluegrass and country music. One of the upcoming presentations for 2012 will be by IBMA's Nancy Cardwell which will deal with a significant topic "Yonder Mountain String Band, 12 Years and We're Still Dancing." YMSB is significant in the ongoing Bluegrass community discussions dealing with the parameters of Bluegrass known informally as WIBA or, more precisely, "What Is Bluegrass Anyway?"